I want to tell all my friends and clients I have joined a new group of alternative healers. The website is https://daocloud.com. If you would like to visit my page, go to: https://www.daocloud.com/pro/leemitchell225. The Group is similar to WebMD. Where you can go to any practioner in alternative healing and ask questions and look for solutions to any form of medical problem. Western medicine has had central sources for many years to search for answers, but this is the first in alternative health care. Many clients come to me for answers to anxiety, depression, feeling stuck, not feeling like they belong on earth, and many other reasons. Many times we are able to see past life experiences that have caused these traumas in their past lives. They, unfortunately, have brought the feelings from these traumas into the present life. Not fully understanding why they feel this way today, they go searching for answers in past life therapy. I just feel fortunate that I am able to be involved in change for the better for them. The group is new and constantly adding more practioners. Just enter any topic in their A-Z section, and articles will appear for you. If you feel helped by the session you had with me, I would ask you in a few words, add your comments on my page. Thanks! January is the month for two Eclipses. The first was January 5th in Capricorn. Coming up is the Super Blood Moon. It is also a Full Moon Lunar Eclipse. It will happen on January 20th or 21st, depending on your time zone. It is in Leo and is expected to be one “Looney” eclipse. This moon is called “Super” because it is closer to the Earth in its orbit than usual, making it appear larger than usual. It will be a “Blood Moon” because it’s being accompanied by a total Lunar Eclipse. As the Moon passes directly behind the Earth, it becomes illuminated by sunlight that’s filtered and refracted by Earth’s atmosphere, making it appear to glow a deep orangey-red. 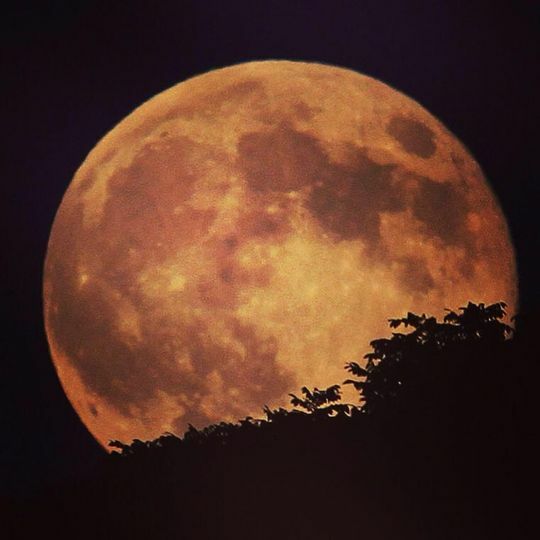 And if you find yourself feeling like howling at it, (the way my dear Casey dog, the walker hound use to do so often) it’s because the first full Moon in January of each year is called a “Wolf Moon.” It will last for about 31/2 hours shortly after midnight. In astrology, the big “looney” part is that Uranus is in Taurus and is squaring the Moon. With Uranus, we have unusual and out-of-the-blue events that happen beyond our control. So look for friendships to be surprising, work might offer some new opportunities, and families make go in new directions for all concerned. The effects of the Eclipse will last several weeks, if not months for some. We are all going to feel a little unsettled. But these Eclipses are for a reason in our consciousness. We all need to move on from places we are stuck. Whether you are stuck in a relationship that no longer serves you, whether your job is simply a “job” and doesn’t excite you anymore, or whether your life needs some “uplifting” all around with new places, new friends, and new experiences, an Eclipse will bring it to you now, whether you are ready or not. So look for this following Sunday and Monday to be game changers. I just don’t mean in football. Your attitude about the decisions you will be forced to make, makes all the difference. If you refuse to “go with the flow”, this will be a hard time for you. If you tell the Universe to “bring it on”, that you are ready for a new adventure, then you will be inviting the Universe to show you a new, and possibly, exciting path that you would have never dreamed of finding, but somehow you are now there. I look at the relationship of Eclipses, and actually all of astrology, as energy that is given to each of us to complete the path we chose as souls to master in our present lives. The booster rockets that are given to us are to make us braver to step into new territory that we came to discover in this present lifetime. We, as souls, are always challenging ourselves to take bigger leaps of faith to accomplish more than we have in the past. We know that we are strong enough because of all the experience we have already had!! Enjoy the ride, whatever it brings you on the 20th-21st. You can handle it well, I just know it! !